Why taking your ski holiday pre-Christmas is a smart & savvy thing to do! 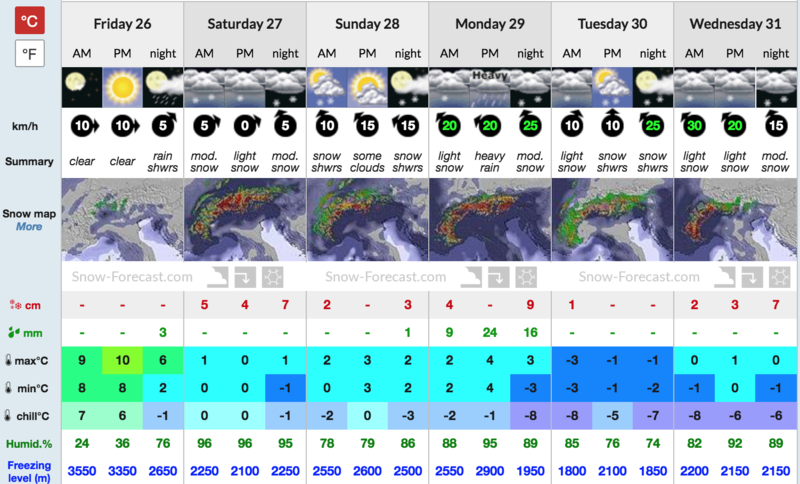 Hurrah snow is on its way in Meribel!! 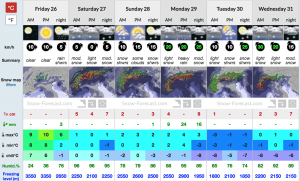 According to weather forecasts we will begin to see the snow fall this weekend! The great news is that it is set to get colder over the next few weeks meaning that the snow should stick around and form an excellent base for the winter. All this talk of snow has got us super excited and thinking about being on top of the beautiful mountain! If you are like us and cannot wait for the ski season to begin then we highly recommend getting those skis & snowboards dusted off and hitting the slopes pre-Christmas. Pure heaven!! Ski down slopes and take the chair lift straight back up without having to que for even 5 minutes. Make wide long turns or practice your quick short ones – do what you like without the fear of anyone behind you or skiing into you! We are so luckily to be based in one of the best ski resorts in the world – the 3 valleys. There are over 2,300 snow canons covering more than 50% of the ski area which is maintained by over 70 grooming machines each night. As soon as it is cold the snow will be falling on the slopes real or not. The whole resort is fresh and buzzing! 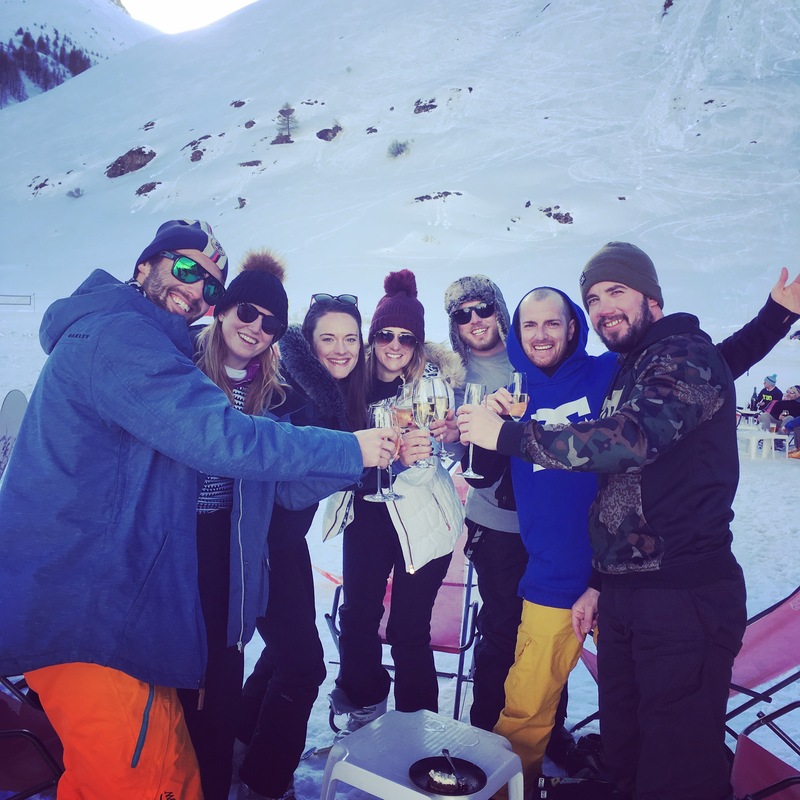 From your chalet host, the piesters, the ski instructors, the restaurateurs and absolutely anyone you meet will be super excited to be in resort and on the slopes. You have to be there to experience this amazing buzz for yourself to truly understand it! Pair this with the excitement of it being nearly Christmas and you really will not find anywhere more festive! Experience the luxuries of our catered chalets Cerf Rouge and Du Guide with 10% off their already very purse friendly pre- Christmas pricing, from £550 per person for the week of the 15th December. If your preference is self-catered, we still have 3 apartments available – La Ferme, Genepi and Chamois starting from £329 per person. It really is true… the early bird DOES catch the worm! 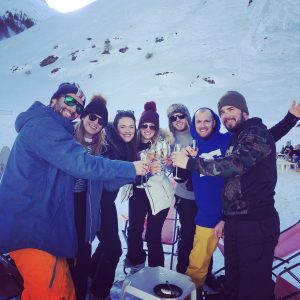 Cheers to you being ski holiday savvy!